It is with great pride & pleasure that we present within these covers a comprehensive portrait of S.B. Patil Public School (SBPPS) having CBSE curriculum. Our School is a progressive, child centered, co-educational private school, committed to providing education for all its students. 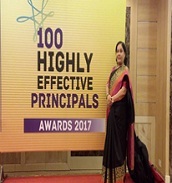 It's a great pleasure and heart warming news to announce that our School Principal Dr. Madhubala Gairola Madam has received the "Alert Knowledge Services Education Highly Effective Principal Award" among the top 100 school Principals' in India, who have given their significant and valuable contribution in the field of education. 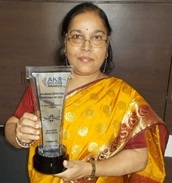 She was awarded in a ceremony held in New Delhi on the 24th of April'2018. We would like to extent our heartfelt gratitude and wishes to Ma'am for all that she had done to contribute to the noble cause of education and as an educationist. She is a legend and had been an inspiration for us all for being so humble yet an effective motivator and educator.